Superior Fine Art Giclee Printing Price List. January 2008. Three pages. File size 80.2 KB. Information on Printing Services, media available, pricing, and quantity discounts. Bring in your original art. This will enable us to create a proof with the closest match to your original piece. 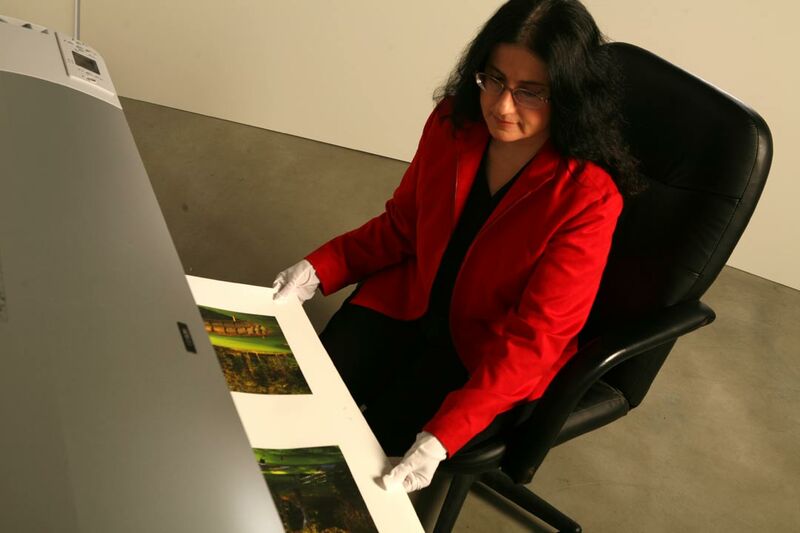 We will professionally light and photograph your art and create a digital file to prepare for printing. If your original is a photograph, skip this step and bring in the original digital file. 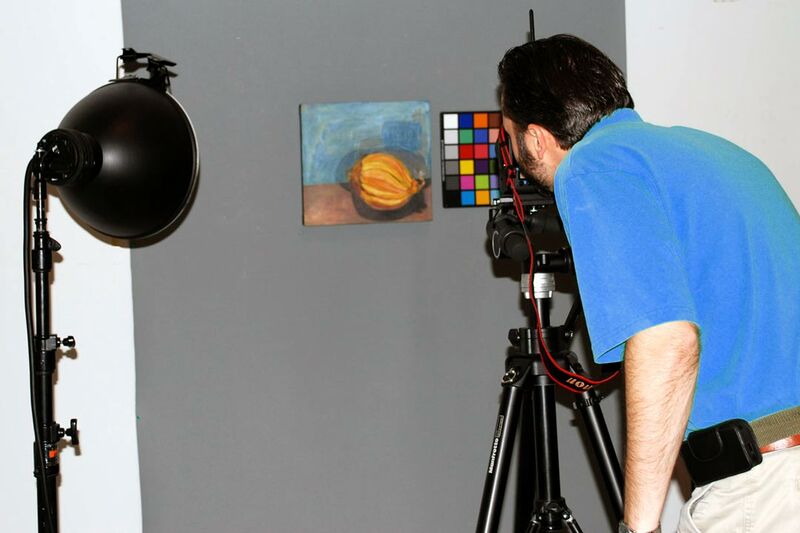 Setup includes preparation and color management. 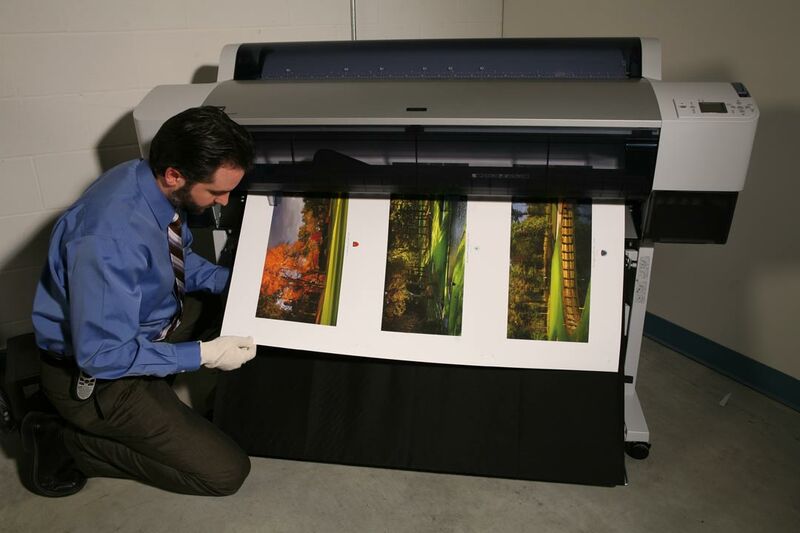 Your digital file will be prepared for printing. The digital files will be sized and optimized for the closest match of color, value, intensity, contrast, etc. to your original art. We will compare it to your original for the truest representation possible in a printed image. A small proof will be printed on the media of your choice for your signed approval. 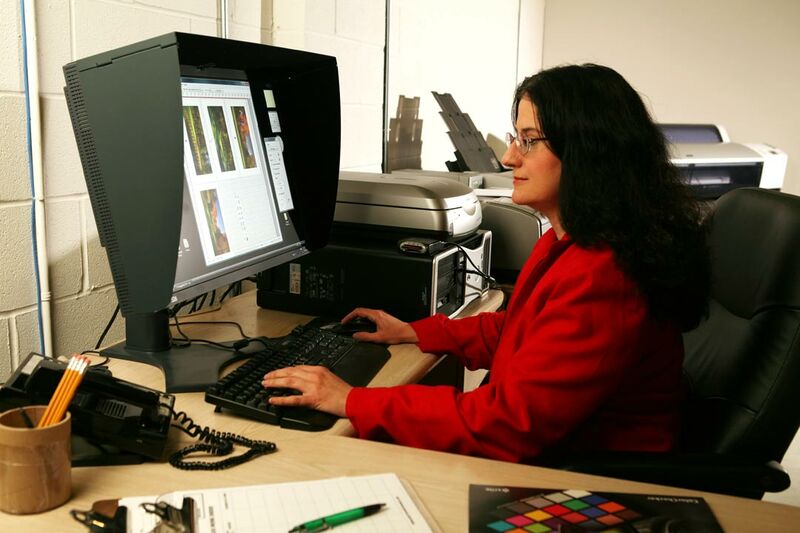 The proof is stored for quality control on future print runs, so you can order giclees as you need them. If you choose to print larger editions, there are quantity discounts available. 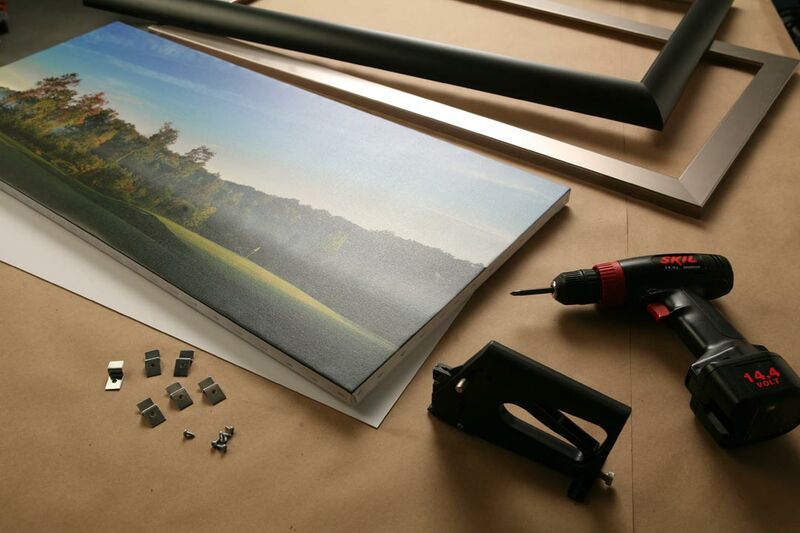 After proof approval, your giclees will be printed to the full size you ordered on fine art media. Choose from Canvas, Watercolor Paper, Fine Art Paper, Poster Paper, and Photo Paper in Glossy, Semigloss, and Luster. 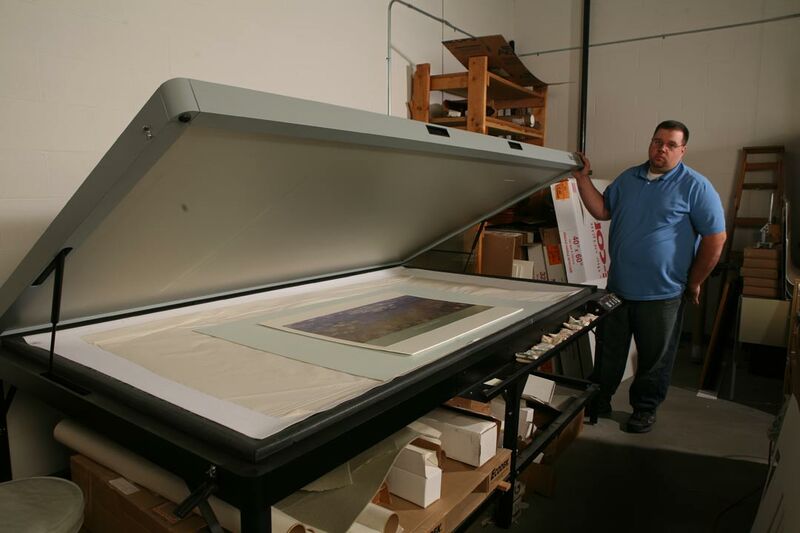 Enlarge your art up to 44" wide and up to 100 feet long, depending on your file size and media chosen. 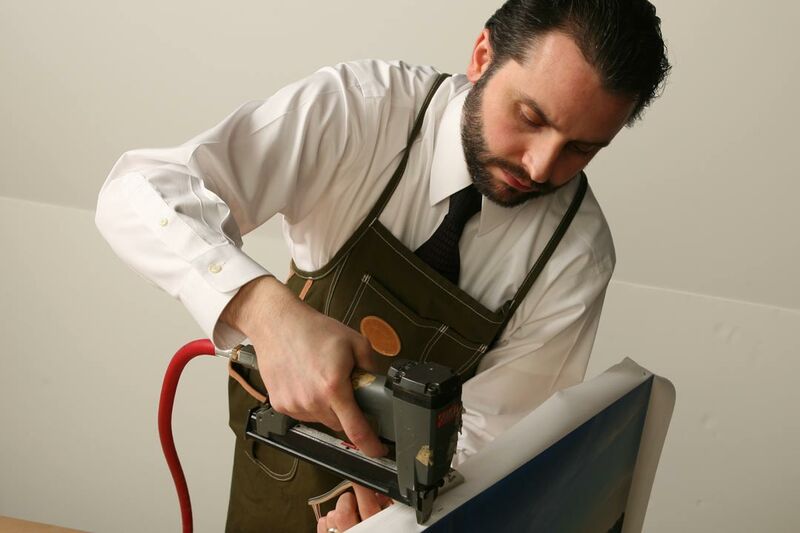 Giclees on canvas will be coated for protection. Coating choices are Premier Gloss, Premier Matte, and Premier Satin. 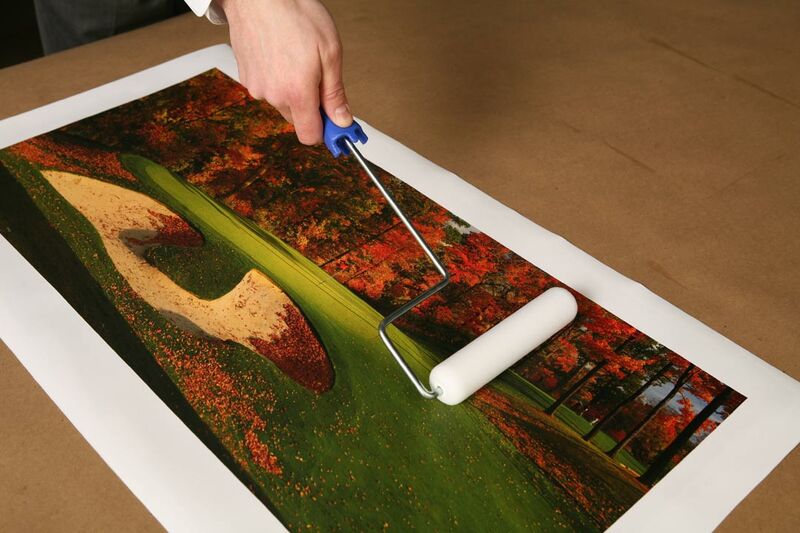 Giclees on canvas can be professionally mounted on custom- made solid pine or poplar stretcher bar frames. We can print the canvas edges in black or another color taken from your artwork, if you want your canvas stretched as a Gallery Wrap in your choice of depths. Or regular canvas stretching can be done so your art can be framed in a Canvas Floater frame or regular custom picture frame. 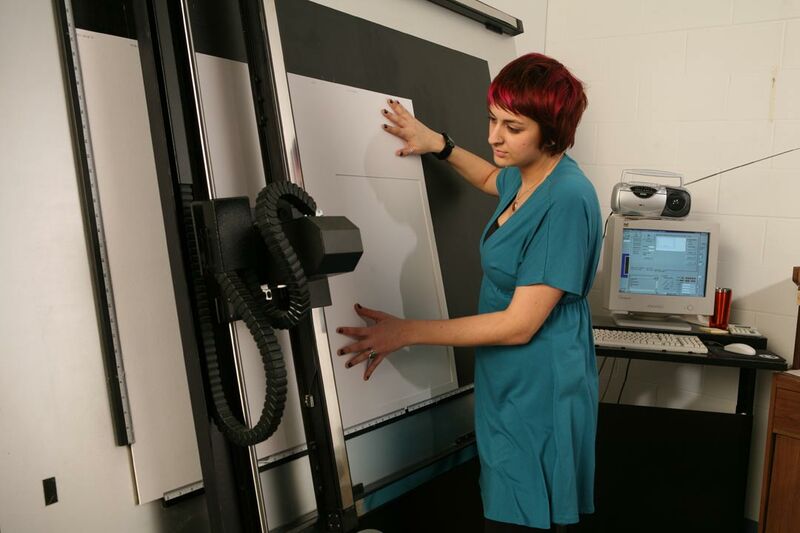 Custom mat your prints on paper to protect, display, and sell your art. Choose from over 2800 Decorative, Conservation, Rag, and Fabric mat colors. Our computerized custom mat cutting service provides you with superb quality, unparalleled service, and unlimited creative capabilities. Whether you need to frame 1 piece or 1000, West Shore is the place to go. If you need a few pieces framed, get them professionally custom framed at wholesale prices. If you need a large order, use our OEM contract framing service- the same service that creates decor for hotels and other businesses throughout the USA.